Even in 2010s, games are being made for the gaming platforms, be them microcomputers or consoles, of the 1980s. No harm in looking at a few, right? All screenshots taken in BlueMSX emulator. 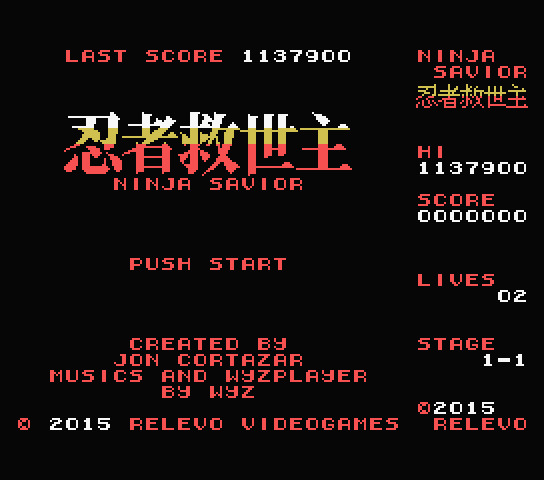 Ninja Savior was a contestant in the MSXdev'15 compo. It won the prize for the best sound and a mention for originality, but of the four contestants, ranked second (or so I understand after reading through the result PDF) with mean score of 6.7. The story is simple: monsters have attacked and are burning down the village of Usuki. A ninja must now defeat these enemies and save the village. The player is a ninja who must defeat the boss on top of the screen, but only indirectly by collecting the charms and scrolls that will harm the boss. 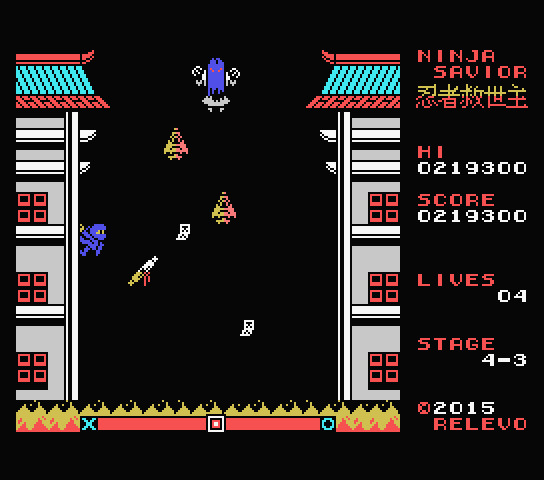 The progress is shown as a slider on the bottom of the screen: getting hit by enemies will negate the effects of the ninja's own attacks, and if the slider ends in the left-hand edge, the player loses a life. The gameplay would work well even on mobiles, as it uses only the fire button for jumping. The ninja leaps from side to side (and a little higher) with the press of the button, and will slowly slide down the wall. Sliding all the way down to the flames also drains energy. The items and small enemies are randomly placed in the middle of the screen. The trick is in waiting until the right moment to leap -- to get as many (powerful) items without getting hit by the enemies. However, waiting too long will mean the player will get closer to the flames and having less options when to make the jump after this one, as the ninja will have less wall to slide down on, or may even have to take a hit to avoid straight out falling into the flames. Each of the eight bosses has four stages. While the gameplay stays the same throughout all stages, the difficulty curve increases steadily. 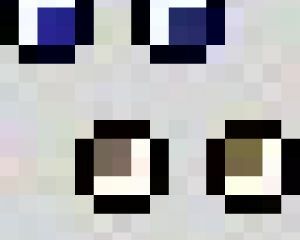 There will be at most two smaller enemies on the field, but each leap will also reduce the energy bar more. Other than the difficulty, there isn't much difference between the levels outside of what is a skin change. Both the smaller enemies and the boss get a different look and their two frames of animations, but the houses get only a palette swap. And I mean literally two frames of animation each. The game also has background music, which is decent enough. While that probably is something you'd expect from any game, I've played Konami games from the 1980s that didn't have constant music in the background; Sky Jaguar and Super Cobra being two examples. And Green Beret being an example when no music would've been better. Scoring is done the safe way: collect an item, get a fixed number of points. Win a stage without getting hit by enemies, get bonus points. Win the game, get a very large number of bonus points. Beyond the bonus points for perfect level clears, there are no combo mechanics. It doesn't take many tries to finish the game; I managed it with half a dozen tries. The game has flaws, but nothing gamebreaking outside of how limited the gameplay is. There are some graphical glitches such as the boss briefly flashing on screen after being defeated. I commented how the gameplay would work well in a mobile title... I may have been wrong. There's little room for monetization that I can see. But at least this game is free. In case you're interested in seeing the gameplay in action, there are various gameplay videos on Youtube. But is NS good? That's a tougher question to answer. Barring the aforementioned graphics glitches, the game feels very polished. But contentwise, there's not much on offer. The game is too easy by 1980s standards and hence ends quickly, and by 2010s standards there's not enough variety or longevity even as a score attack game. Not that this would keep me from loading it up in an emulator every now and then. EDIT: The prize was for the best sound, not for originality unlike I first wrote.